If you need to find the engine serial number (which is often required to figure out what color main bearings you need) the illustration below may help. 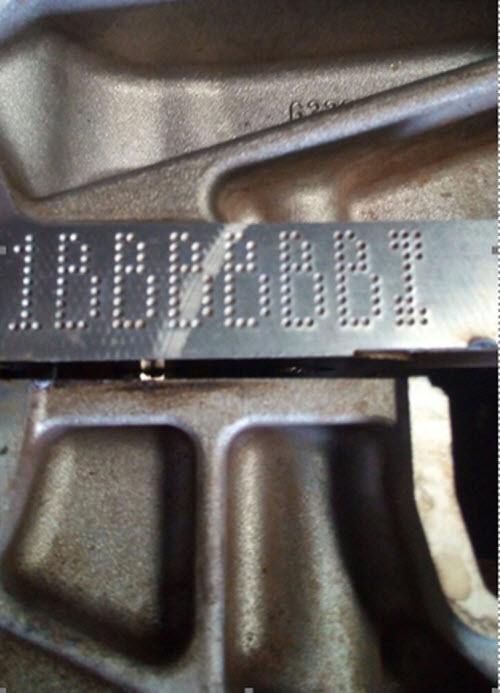 The engine serial number is located on the right side of the engine block at the bottom, facing the rear of the car. If your car is FWD (front wheel drive) the serial number is on the side closest to the firewall or dash. If you car is RWD (rear wheel drive) the serial number is on the passenger side of the engine compartment. 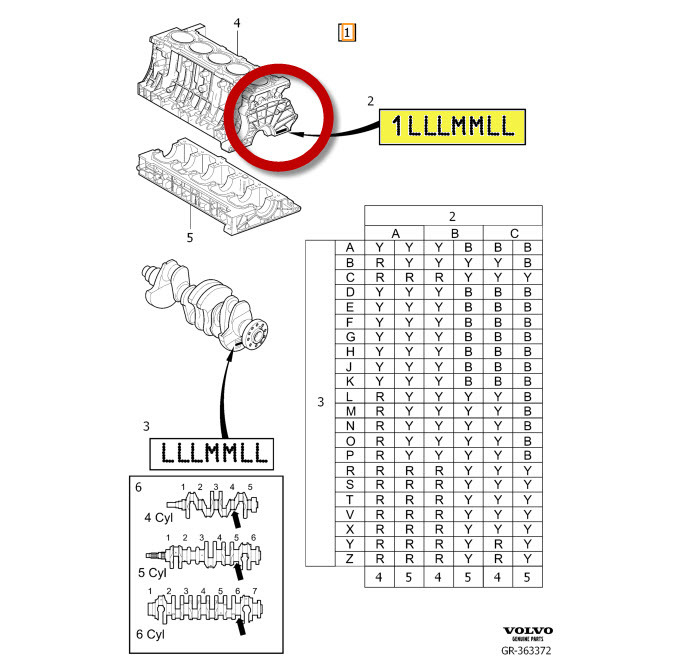 Write down the entire serial number and call us so we can tell you what part number bearing to order. Usually there are 3 colors to choose from, red, yellow or blue and in most cases the serial number will have a B for Blue or a Y for Yellow or R for Red.